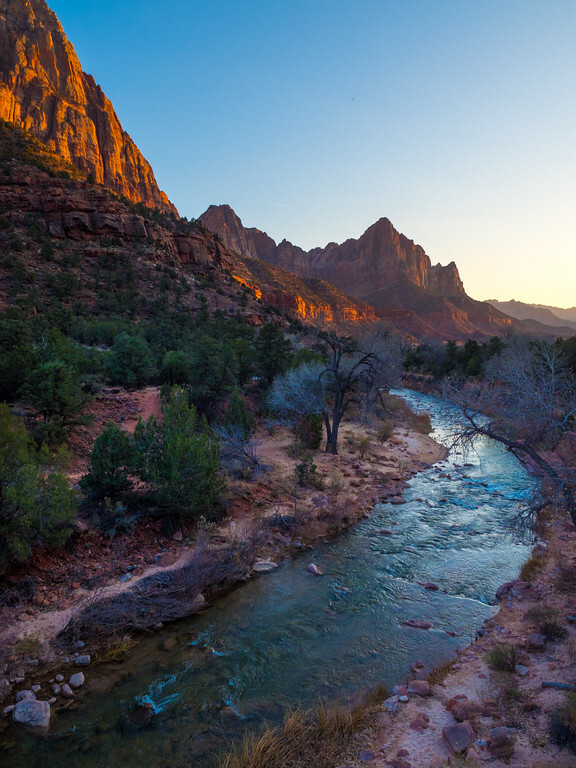 When it comes to national parks in the United States, the secret has long been out about Zion National Park. 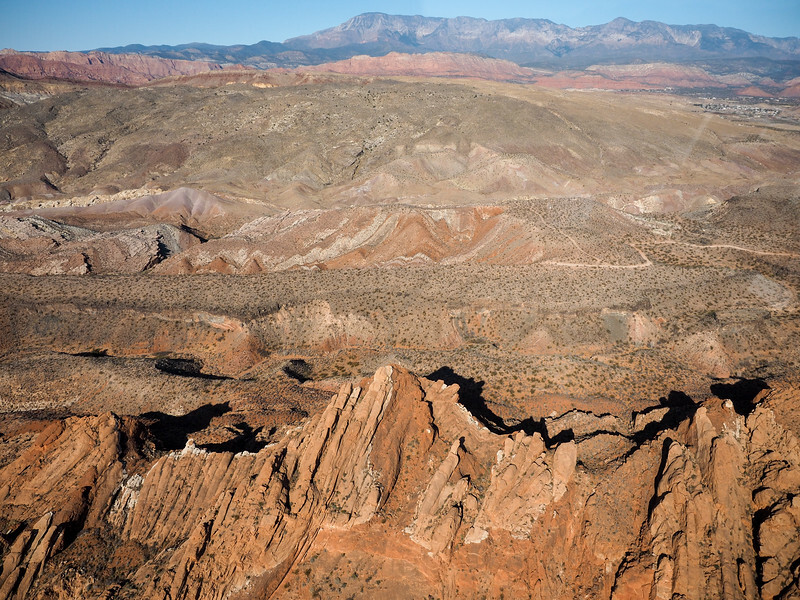 It's one of the most-visited national parks each year, with millions of visitors flocking year-round to see its famous red canyon and to hike its famous trails. And while hiking in Zion National Park is indeed amazing, I've gotten emails from people asking if that's the only thing to do in Zion. The answer is no. Yes, Angels Landing and The Narrows are favorite hikes for lots of people, and I *would* suggest trying to tackle at least one of them if you're able. But if you're not physically able to hike for miles (or if you just really detest hiking), the good news is that you can still enjoy Zion National Park without ever lacing up hiking boots. 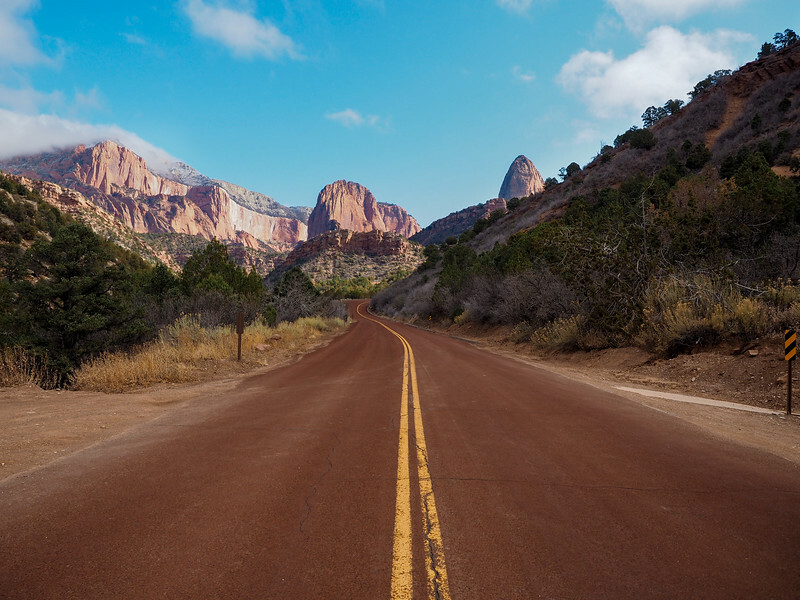 Here are 5 things you can do in Zion National park that don't involve any serious hiking. 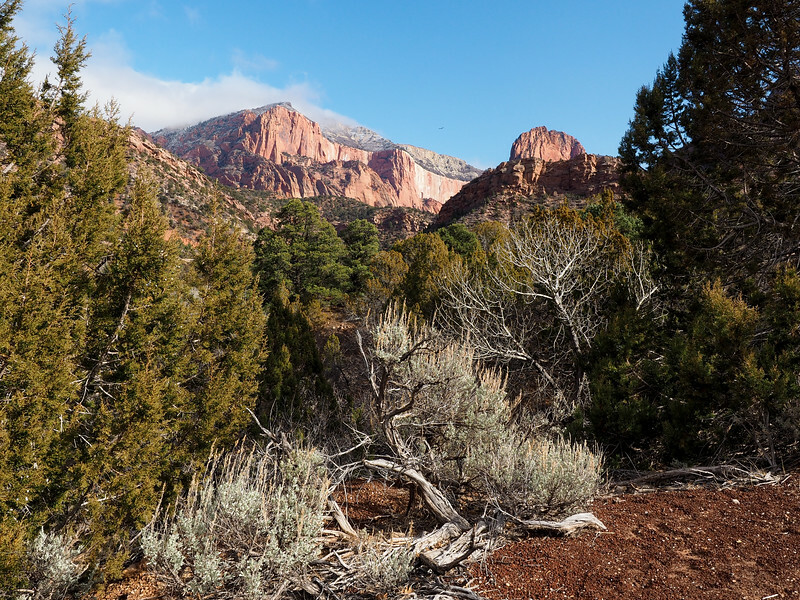 While Zion does indeed have a fair number of challenging hikes, it also has a handful of really easy walks that will still get you up-close to all the great scenery of Zion National Park. Pa'rus Trail – 3.5 miles roundtrip from the South Campground to Canyon Junction, following the Virgin River. This trail is paved and suitable for wheelchairs, and you can also walk your dog on it. Riverside Walk – 2.2 miles beginning at the Temple of Sinawa, following the Virgin River through a narrow canyon. This trail is also paved. Lower Emerald Pool Trail – 1.2 miles roundtrip from Zion Lodge. A paved trail leads to a waterfall at the Lower Emerald Pool. It also connects to the (steeper) Kayenta and Upper Emerald Pool trails. You can see Zion National Park on two wheels, too. 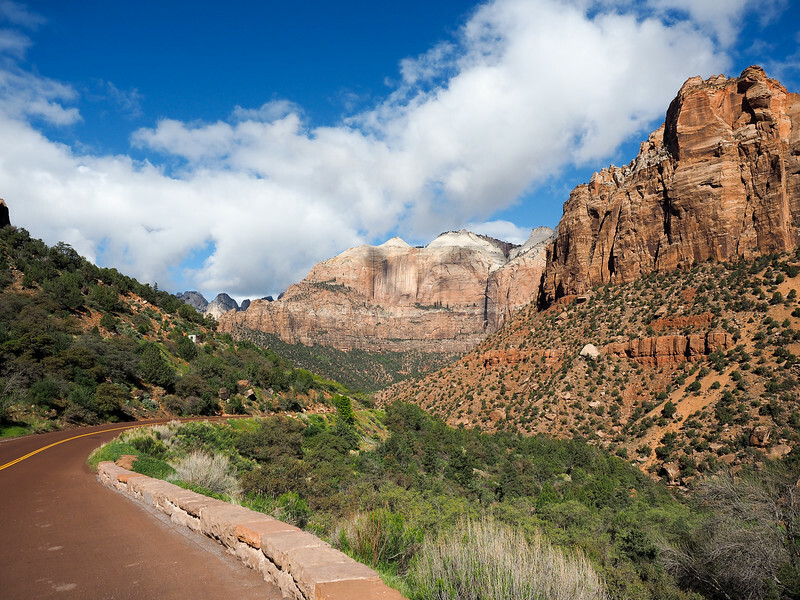 The only trail in the park you can ride a bike on is the Pa'rus Trail, but you can cycle the Zion Canyon Scenic Drive year-round. During the winter months you'll share this road with cars. But from February through November (when the Scenic Drive is closed to normal traffic), you'd only have to share the road with park shuttles. You can rent bikes or even book Zion cycling tours in nearby Springdale. Check out Zion Outfitter, Zion Cycles, or Zion Adventure Company for rentals and/or tours. While you can only drive through Zion Canyon in your own car a few months out of the year, you can always drive the Mount Carmel Highway. 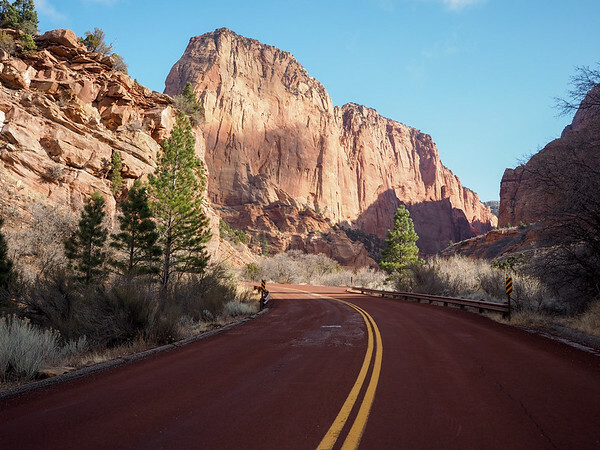 This 12-mile highway connects the south and east entrances of Zion National Park, and driving it is an experience in itself. You traverse up and down steep switchbacks and through the 1.1 mile-long Zion-Mt. Carmel Tunnel. Eventually the highway meets up with US 89. Make sure to allow extra time for this drive. There are sometimes delays at the tunnel (if large campers or trucks are driving through, they'll shut down traffic from one side since the tunnel is so narrow), and you'll likely want to stop multiple times at pull-outs for all the great views. 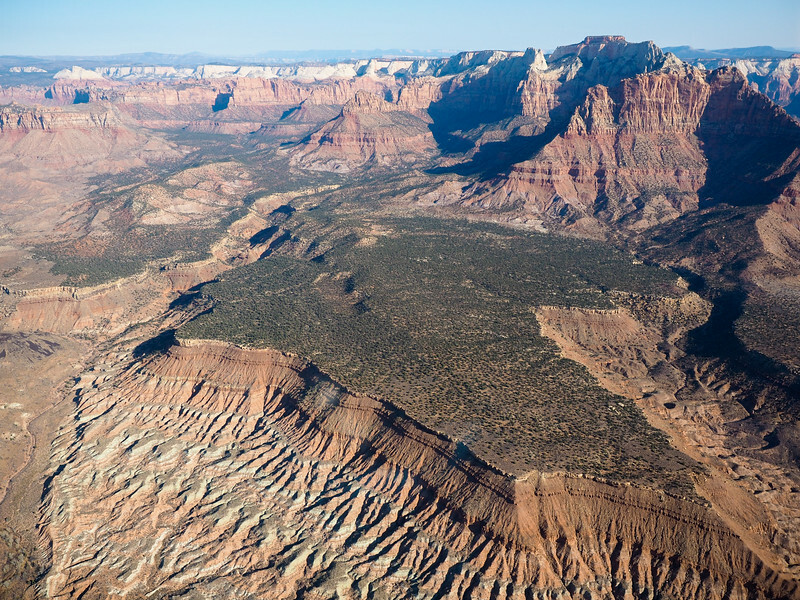 Did you know that there are actually two sections to Zion National Park? 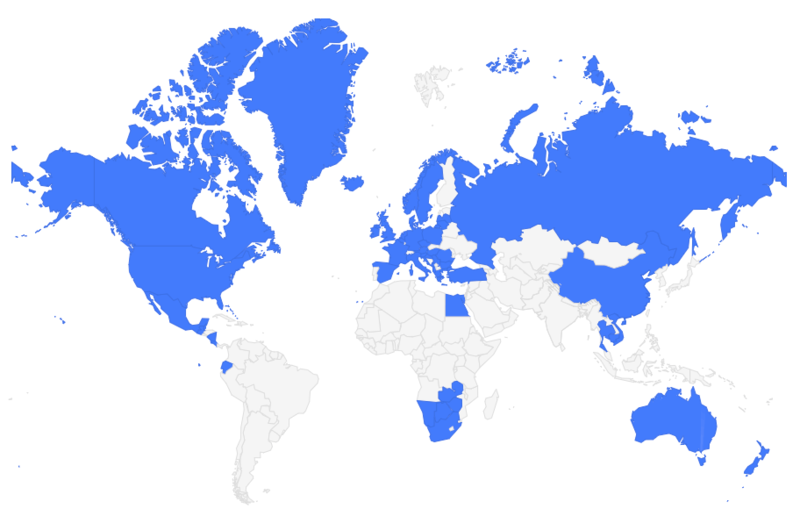 The “other” section – i.e. 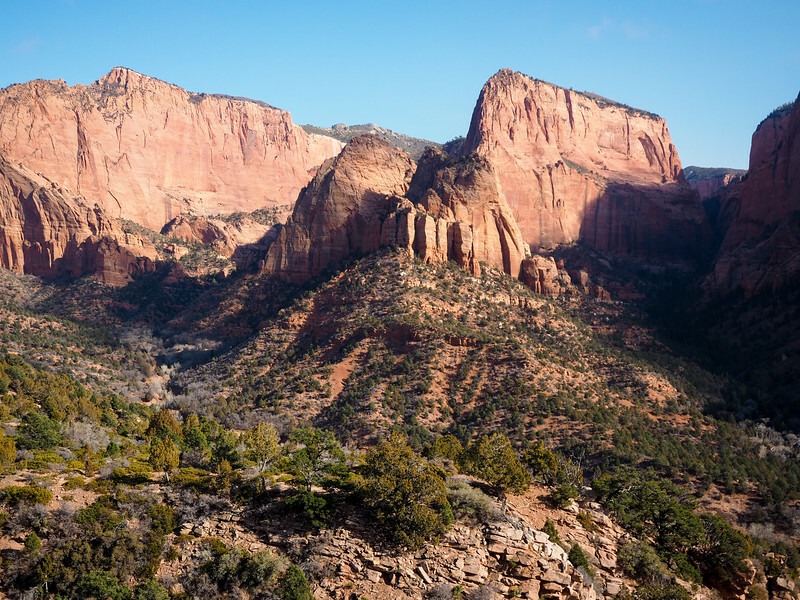 the one a lot of people don't even know about – is the Kolob Canyons section, 40 miles north of Zion Canyon. To reach this part of the park from Zion Canyon, you have to exit Zion and drive back to I-15. It takes about 45-60 minutes to drive from one section to the other, but I promise the detour is worth it! 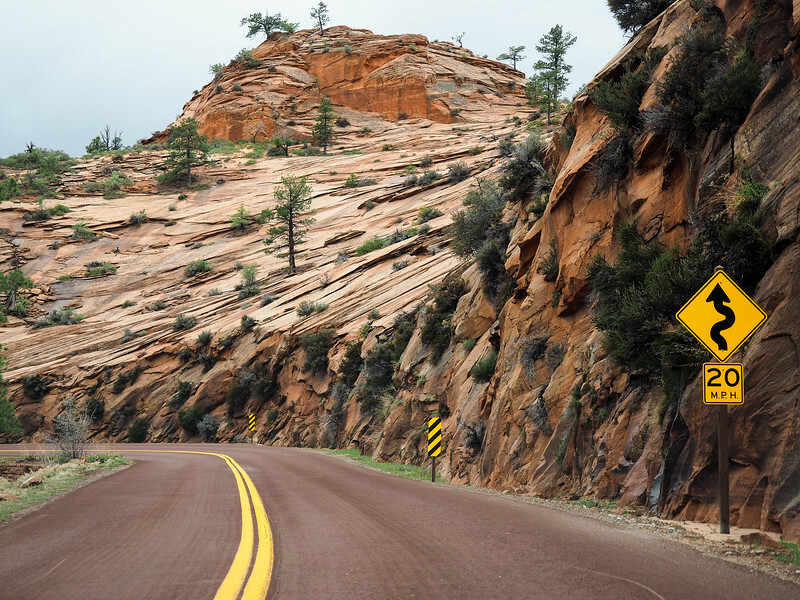 There are some hiking trails in the Kolob Canyons section of Zion, but the real star here is the scenic drive. 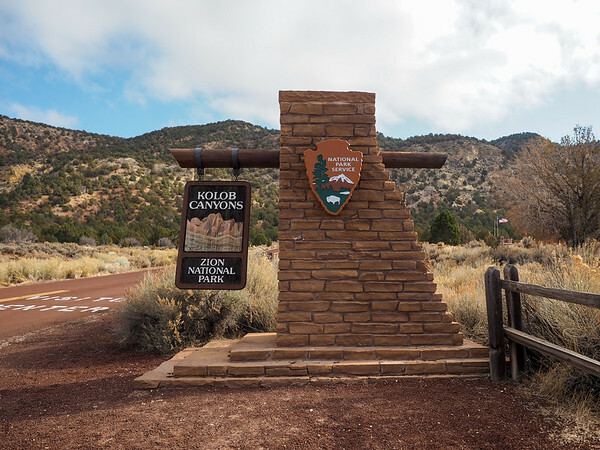 It's only about 10 miles roundtrip from the visitor center to the Kolob Canyons Viewpoint, but it's a stunning drive with plenty of places to stop for views. And the best part about Kolob Canyons? 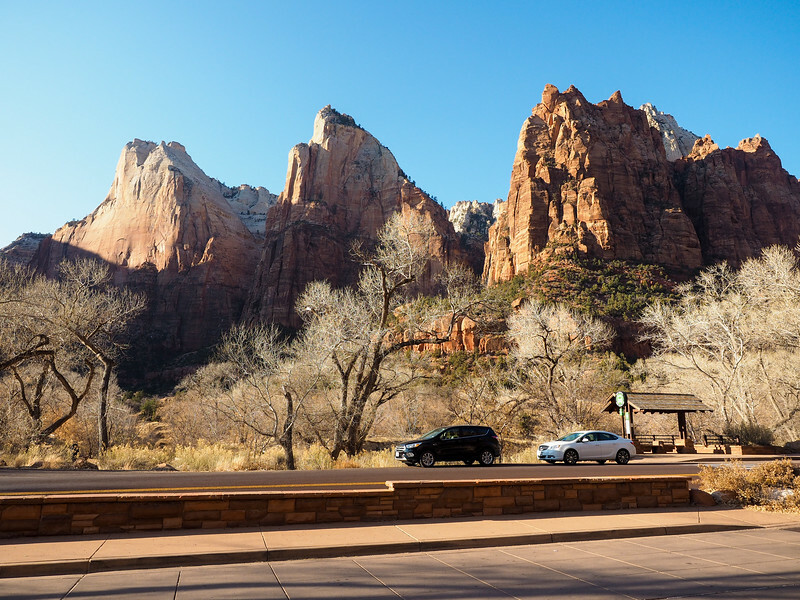 It sees only a tiny fraction of the visitors who go to Zion National Park every year. I did this on my most recent trip to southern Utah, and it was incredible to see all those craggy, canyon-y landscapes from the air. It gives you a deeper appreciation for what Mother Nature can create. You can always just enjoy the natural beauty of Zion National Park, too. One of my favorite parts of my most recent trip was standing on the Canyon Junction Bridge and watching the sun set and paint the Watchman (a famous peak in Zion) a brilliant red-orange. There weren't any clouds in the sky to make for a truly mind-blowing sunset, but it was still incredibly beautiful. You can also ride the shuttles (or drive) through Zion Canyon, and enjoy lunch with a nice view at Zion Lodge. 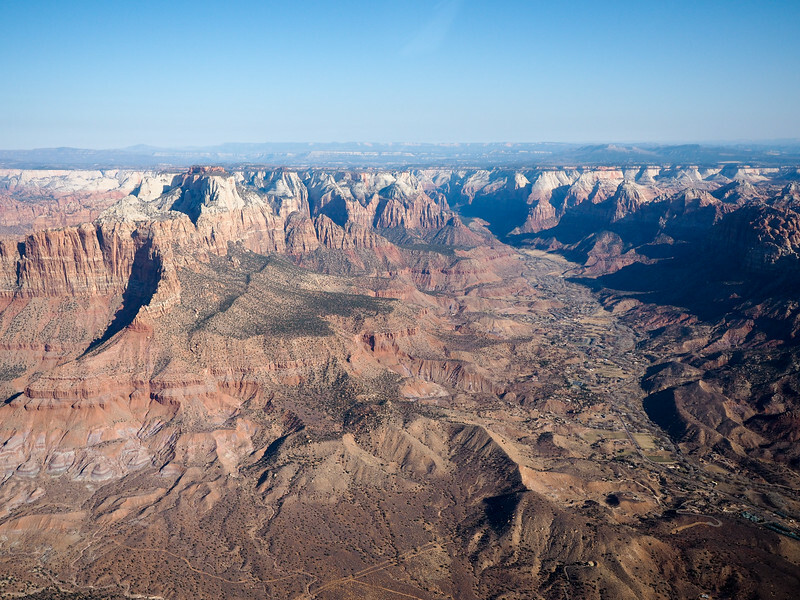 The three main Utah towns to use as bases for a trip to Zion National Park are Springdale (just outside the main entrance to Zion), Cedar City (close to Kolob Canyons), and St. George (about an hour from Zion). You can also stay IN Zion at Zion Lodge, but it's expensive and books up months in advance. I've personally stayed in both Springdale and St. George, and recommend both for different reasons. Springdale is ideal if the purpose of your trip is strictly to visit Zion. You can catch a shuttle into the park from downtown, and there are plenty of hotels and restaurants to choose from (though be aware that many eateries close during the winter). I stayed at the La Quinta Inn & Suites Springdale and would definitely recommend it. You can also check out other Springdale hotels here. 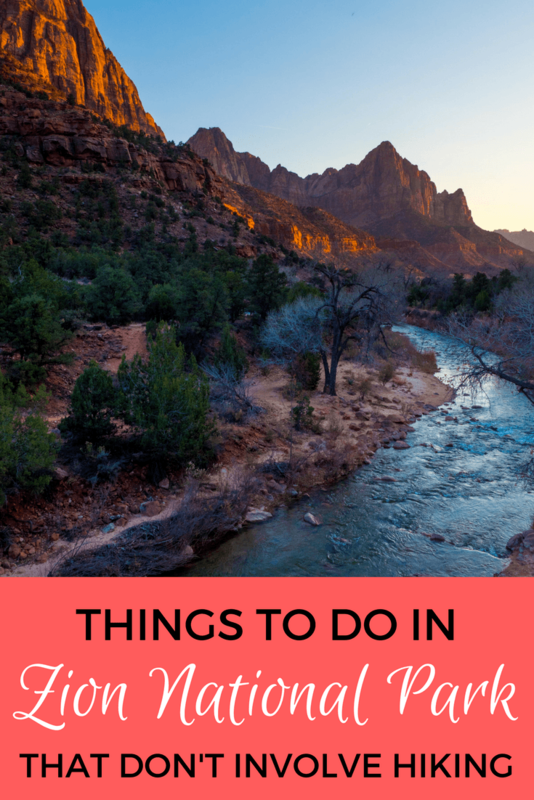 St. George is a little further away from Zion National Park, but is ideal if you'd like to base yourself in more of a city and plan to visit other nearby spots (there are some amazing state parks near St. George!). I stayed at the Hyatt Place, which has great access to I-15 for getting around and going to Zion. 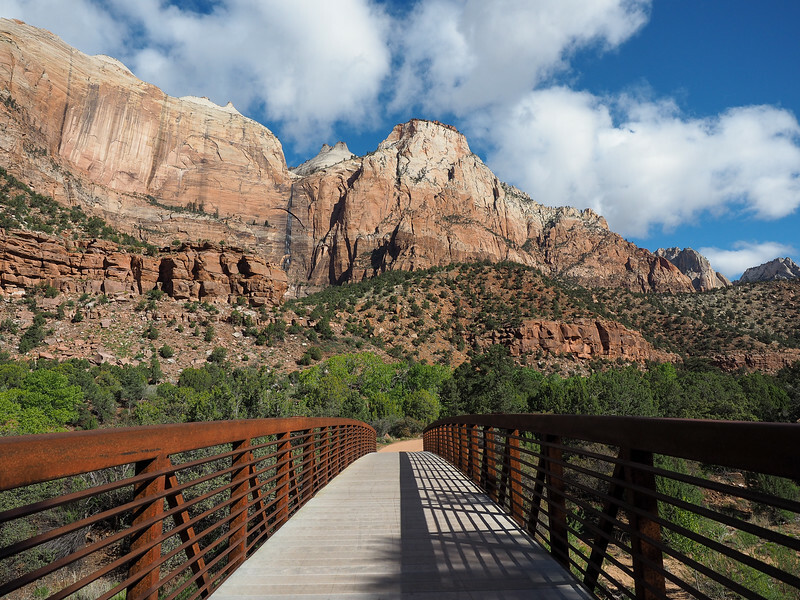 Did you know there were so many things to do in Zion that don't involve hiking? Which one would you choose? Great post! I was lucky enough to visit Zion briefly while on my cross country road trip this summer. I only had time for the scenic drive on Mount Caramel Highway- the tunnel was my favorite- the view after you exit the other side is breathtaking. I can’t wait to plan a return trip and will definitely be taking some of your suggestions from the post! Zion is definitely worth a return trip (or two or three)! Also, if you stay in Kanab, it is a short drive to the East entrance to Zion. Knowing how many people visit Zion every year, I’m shocked that the secret isn’t already out about Kolob Canyons! But indeed there were hardly any people there at all when I visited! These are some great tips, Amanda! We were in Zion at the end of December and there are definitely ways to enjoy the park without hiking, if you prefer. One of things we loved about going in the off-season, was being able to drive around yourself and taking in the beautiful red rock canyons. I would also recommend a drive through the Kolob Terrace which traverses through some pretty scenic portions of the northwest part of the park. I was so happy to see Zion National Park with my friends.Do you believe that was the first time I have seen the Sun beautiful like that when I stand on red rock mountain? Helicopters are cool, and this was definitely a beautiful ride – it looks so different from up above! I am totally a hiker, in fact when visiting national parks I often end up just hiking and forgetting about doing anything else. So this made me reconsider that, thank you 😀 My base is Las Vegas so a trip to Zion is super easy for me and I should remember to go more often! Great article! Zion Canyon is truly an amazing place. We saw Mountain Sheep right on the road last time we were there a few weeks ago. May I suggest avoiding the crowds and prices in Springdale and stay in Kanab instead! Makes a great base for doing Zion (35 min drive to the East gate, up Mt. Carmel hwy) and Bryce canyon (1.25 hr to Bryce Entrance) Plus the closest town of any size to The North Rim Grand Canyon (1.25 hr to the Lodge, plus 1/10th of the crowds at South Rim). We LOVE Red Rock Country! Great suggestion! There are plenty of little cities to choose from in that area! I am so happy I found your site! The pics are just beautiful. I’m unable to travel far due to my age, so your site enables me to see the beautiful rock formations that are in Utah! I live in Tucson, AZ, but I’m a transplant from Warren, Ohio since 1980! Can’t believe you are originally from Warren. I went to Champion schools until I was 16, family moved to Warren, so I graduated from Warren G. Harding High School also. Love Tucson and our mountains here, but have always wanted to visit Utah especially to see their mountains/canyons. I’m a “rock hound”, never saw a rock I didn’t like, lol. Good luck & safe travels in your adventures. I’m so happy for you to be able to see all the beauty in this world, especially the “canyons”. Thank you for this site, love it! It’s just amazing!!!!! So glad that I could show you these spots, Marsha! Utah certainly has some impressive rocks! Your photos are breathtaking! Kolob Canyons look unreal and magical! Loving your blog. These are all great ideas. We typically direct friends and family to activities that require you to get out, but are at a loss when we talk to people who may not be quite as active as we are, or have a wheelchair. This page is a great resource! 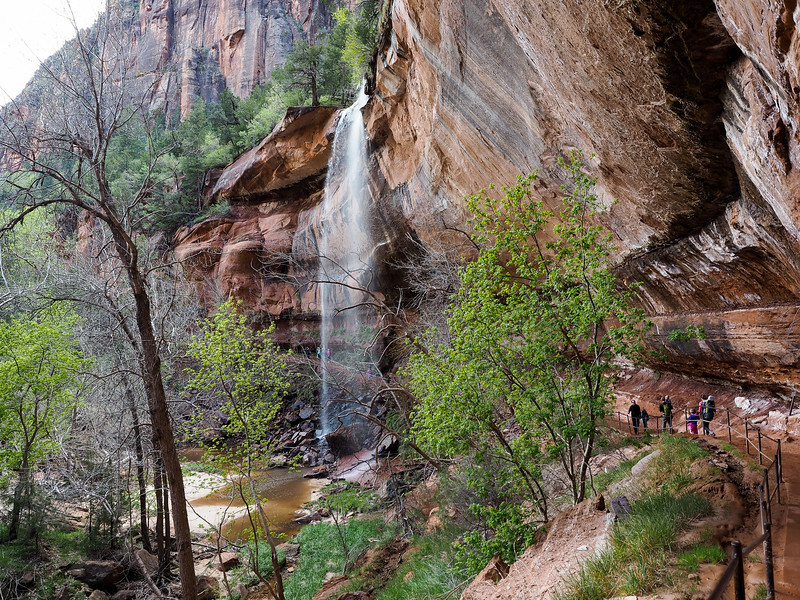 There are lots of low-impact ways to still get outside, and especially in Zion! Thank.you so much for this informative article. We are planning a big 2 week trip to Utah to Brice, Zion, Canyonland and other spots. This is such a great help in our planning! Great to hear, Kathy! I’ve written a lot about the Southwest, so be sure to check out some of the other content on my site, too! As a frequent visitor at Zion National Park, I suggest you add horseback riding to your list. It avoids much of the congestion and still has the pleasure of enjoying the view. A bonus is: you don’t have to look out for traffic, just enjoy the ride. That also sounds pretty great!